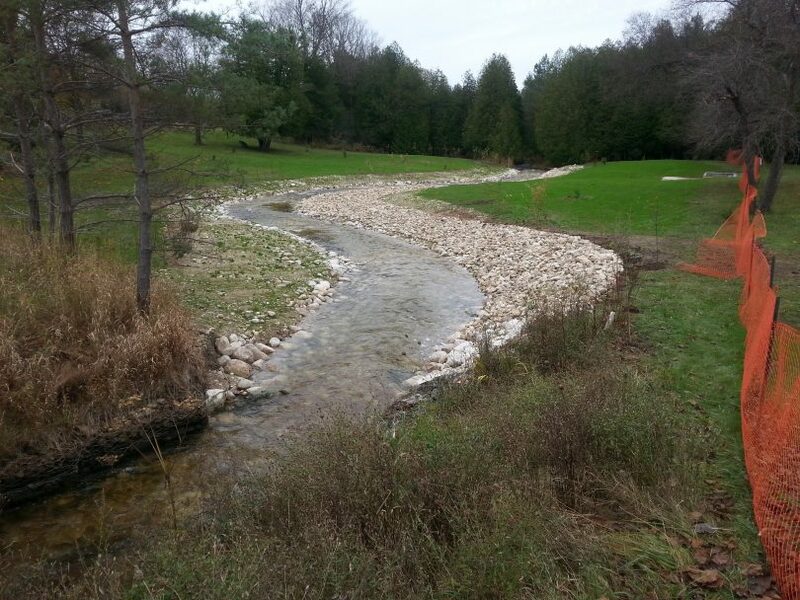 The goal of the Rotary Club Dam Removal Project was to remove a very old dam and headpond from Armstrong Creek, a tributary of the rocky Saugeen River, and to rehabilitate the stream bed to better support a strong population of wild brookies. The dam came out in one day – a new rocky channel was built c/w 3,000 tonnes of pit run gravel, boulders and cedar logs – all within seven working days. 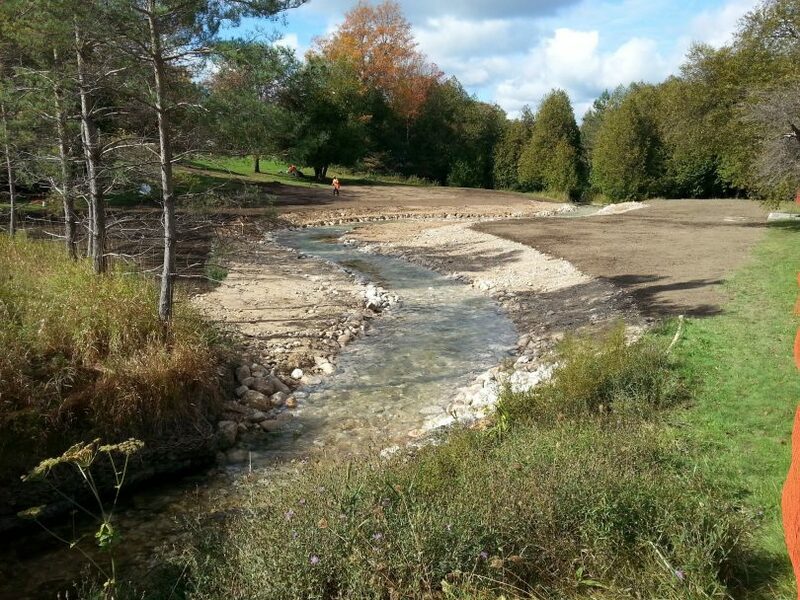 This project shows the dramatic before and after improvements that can happen when a dam and headpond are removed, and the stream bed is rehabilitated. As you can see, the stream has seen a significant transformation in aesthetics, but also improved water quality and fish habitat. 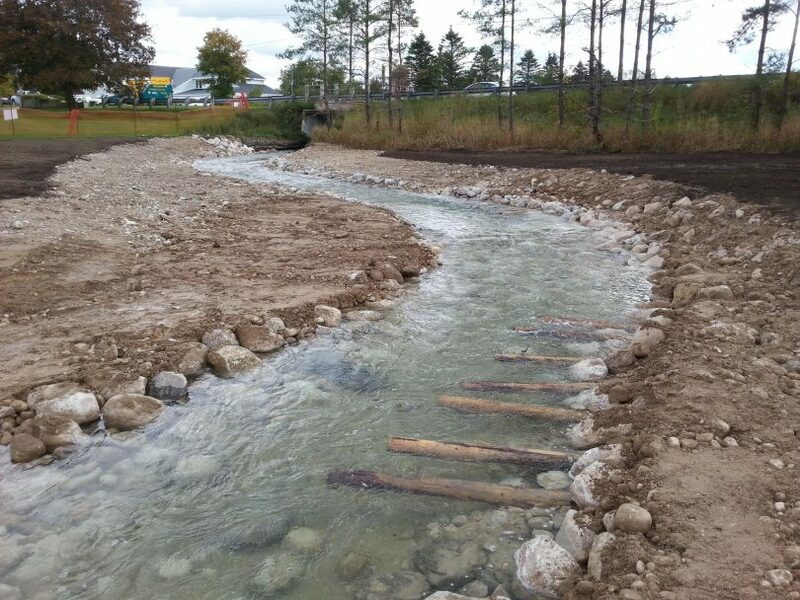 These changes will not only better support the brook trout fishery, but also enhance its resiliency to a warming climate. 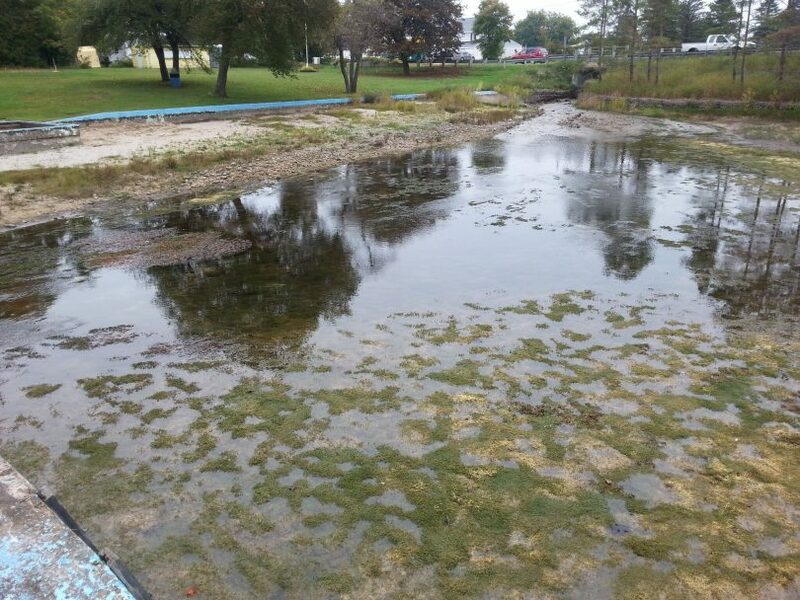 The Project was undertaken by the Markdale Rotary Club and the Muncipality of Grey Highlands. 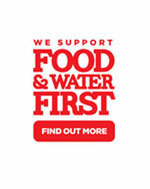 Supporting partners include the Happy Trout Chapter of Trout Unlimited and the Saugeen Valley Conservation Authority. 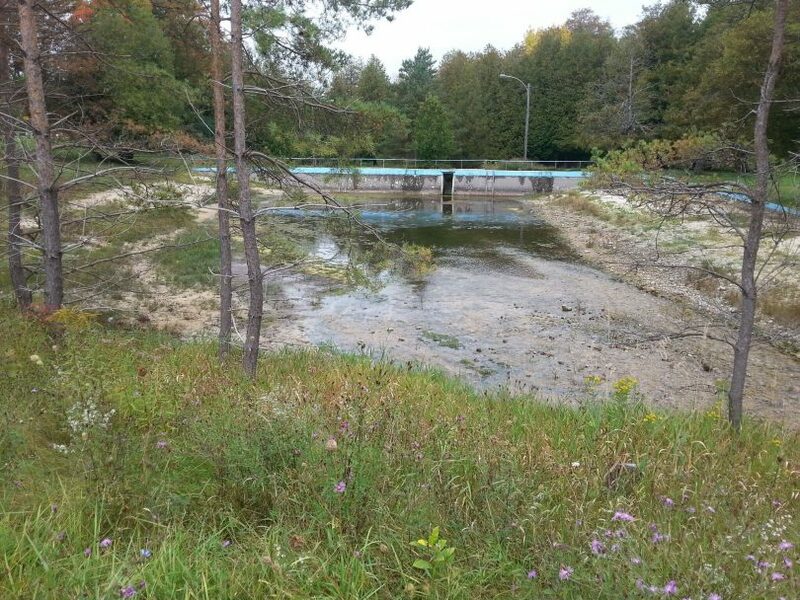 Engineering by GSS Engineering Consultants of Owen Sound .